I did something new this week. You’ll be surprised. Can you guess? I bet you can’t. Yup, first time. Buying a mango. I know – weird right? But you see, it really isn’t weird for me. I sort of have an issue with fruit. It’s not that I don’t like it – I just don’t naturally crave it. I sort of forget about fruit sometimes. I know – what kind of dietitian am I? Soooo – I have to make an extra effort to include fruit. There. I said it. It takes an effort for me to include fruit. There. I said it. Again. Are you surprised – again? Well, nobody’s perfect. But I try. And I’m getting better. You know what I think the problem is? I don’t have a sweet tooth. Give me something salty, spicy, savory and crunchy – I’m a happy girl. Fruit? Eh – oh – I mean yum! I really shouldn’t say that – when I have fruit I enjoy it – well most of the time. So back to the mango. You know how it happened? Well let me tell you. It was a hot day, as it usually is the end of June in the midwest, and I was visiting a new supermarket. To my delight the produce was displayed like a farmer’s market stand. Me = sucker for farmer’s market – real or faux. Anyway – I walked by this display of mangoes. And suddenly – I don’t know if the humidity and heat was getting to me or what – I was feeling tropical. A mango might be a fun thing to try . Hmmm…a mango? Yes, why not? I am sure I can figure out something to do with this. And so there you have it. One small mango went into my basket. Okay, I contemplated getting two but then thought that was a little crazy. I mean let’s see if I actually like the mango before investing in two at a time – right? Okay, so you know what I realized? Other than being a margarita flavor, I don’t know anything about mangoes. I mean what kind story does this tropical fruit have? Are there any health benefits of eating a mango? Can I use it in a savory dish or is it just going to sit on top of my Greek yogurt? Well, I found out this is one popular fruit. 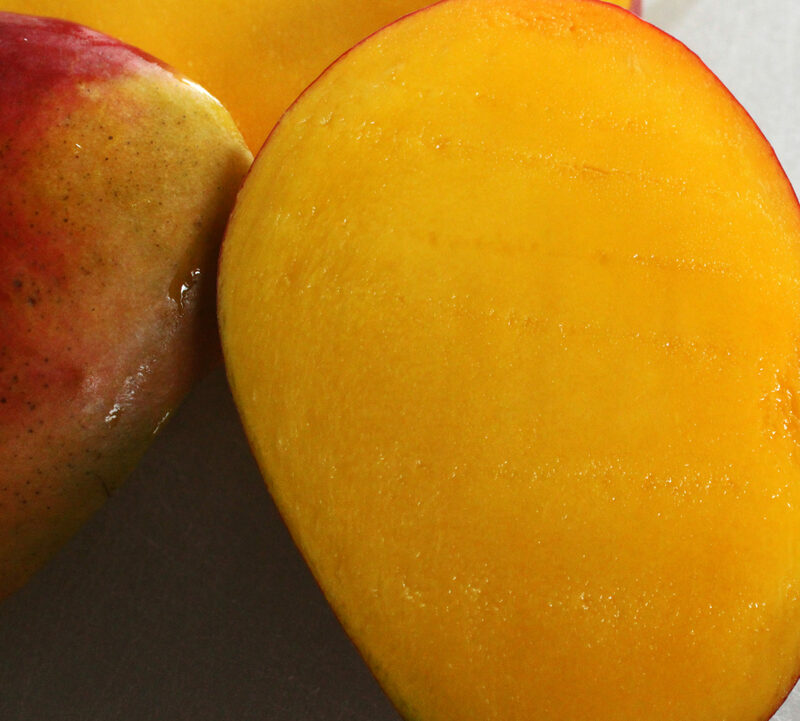 Did you know that the mango is the national fruit of India, Pakistan, and Philippines? And more mangoes are eaten everyday over every other fruit?And mangoes are related to cashews and pistachios? Interesting piece of fruit, right? Mangoes are a great source of vitamin C and beta-carotene, aka vitamin A. So that means this little fruit will help our immune system, our eyes and keep our cells growing. Not only that – it’s an antioxidant. Yup, you got it – it’s another superhero! Ah – so what to do with this little guy? Since I was feeling tropical I wanted to do something fun and different. So I checked through my kitchen of ingredients to see if I was inspired. Cod. Red cabbage. Fresh corn tortillas. Black beans. Jalapenos. Hmmm, looks the makings of fish tacos to me. And tacos needs salsa. Mango salsa! In the end the tacos were oh so tasty and the salsa was the perfect compliment. I am pretty proud of going outside my box this week and looking forward to my next adventure. Have you tried anything new recently? I would love to hear about it! Cover and let chill in refrigerator for at least half and hour to allow flavors to blend.